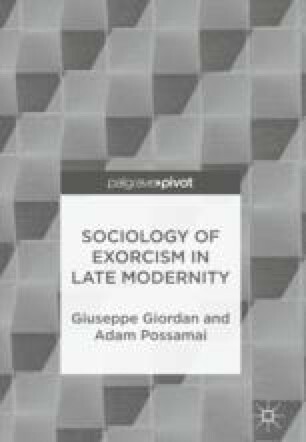 This chapter moves to a case study and analyses the data, covering a ten-year period, which was provided by an experienced Catholic exorcist in the south of Europe. The data comprise a sociological analysis of the more than 1000 cases dealt with and reported, in a document of more than 200,000 words. This chapter reports on the data analysis for those cases (95 per cent) which did not lead to an exorcism.